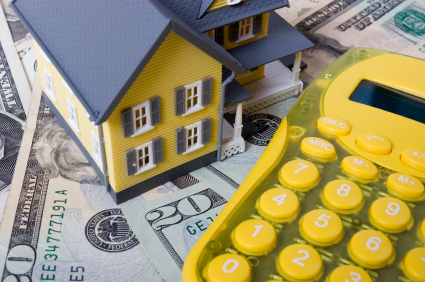 The costs of a refinance will differ depending on your lender, location, and loan amount. However, some costs will most likely stay the same. In general, you will end up paying anywhere from 3% to 6% of the loan’s principal balance. Application Fee: Covers the initial amount it costs to refinance your mortgage. You have to pay this fee whether or not your application is accepted. This fee can be anywhere from $75 to $300. Appraisal Fee: Since home values change all the time, you will need to pay an appraisal fee to get a new home appraisal. This fee could range anywhere from $150 to $400. Loan Origination Fee: This fee is the lender’s charge for setting up the loan since they will end up selling the mortgage to investors. Typically, the loan origination fee costs around 1% or 1.5% of the loan’s original amount. Survey Fees: Your lender may request a land survey. You can expect to pay between $150 and $400. Prepayment Penalties: Before you refinance, check with your lender if there are any fees for paying off your mortgage early. Fees usually range from one to six months of interest payments. Attorney Fees: Your lender may charge you to have a lawyer conduct the final loan closing. If this is the case, you can expect to pay anywhere between $500 and $1,000. Inspection Fees: Your lender might request an inspection ensure that it is risk-free for at least the lifetime of your loan. This fee can range anywhere from $175 to $300. Title Insurance Fees: Title coverage ensures that there are protections against your properties if your deed has false information. You’ll have to speak with your lender to see the complete list of fees that will be included with your home loan. Remember – you don’t have to refinance with the lender who issued your original loan. This is a popular myth that keeps many borrowers from obtaining the lowest refinance mortgage rates. As always, be sure to shop around so that you can get the best rate and the lowest closing costs possible. If you’re interested in having no closing costs for your refinance, ask your lender if he or she can give you a no-cost refinance. This will raise your interest rates and roll all your closing costs into the final loan.